The Coolfire Ace is a super compact 40 watt mod paired with a 2ml Slipstream Tank. The unity of the two end up making a very portable and easy starter kit. The Coolfire Ace has a 3000mAh battery life with a passthru feature that allows you to vape and charge at the same time. The Slipstream Tank is slim and has an easy fill through the top design. 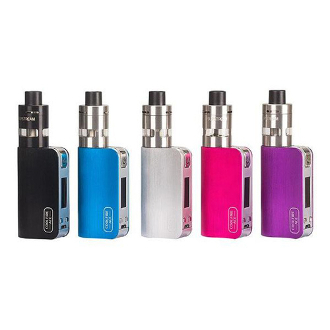 Both make this kit Vaper friendly and cute to look at, all with a happy ending of great fluffy vapor!